"No sugar, all natural, and yummy! Add pecans, walnuts, almonds, mint leaves, or cocoa powder if you'd like!" 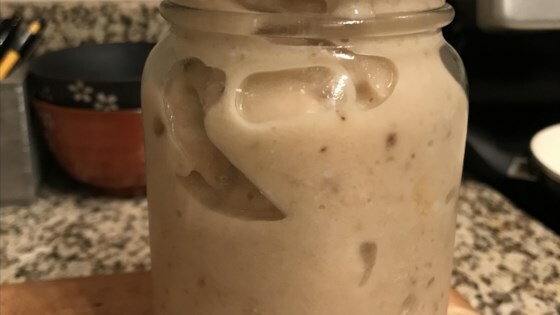 Puree bananas and vanilla extract in a blender until smooth. Add coconut milk gradually until desired consistency is reached. You may substitute heavy cream for coconut milk for a creamier shake. This is absolutely delicious. Really, what else is there to say? I used two small bananas and did have to increase the coconut milk a bit, but this is great. I added a teaspoon of roasted almond butter,too. This will be in regular rotation for me! Loved it. I had it with pecans and added cinnamon, nutmeg and cloves. So good. This had good flavor but I definitely thinned it out a little with more milk.